This rich and creamy Body Butter is a feast for the skin. 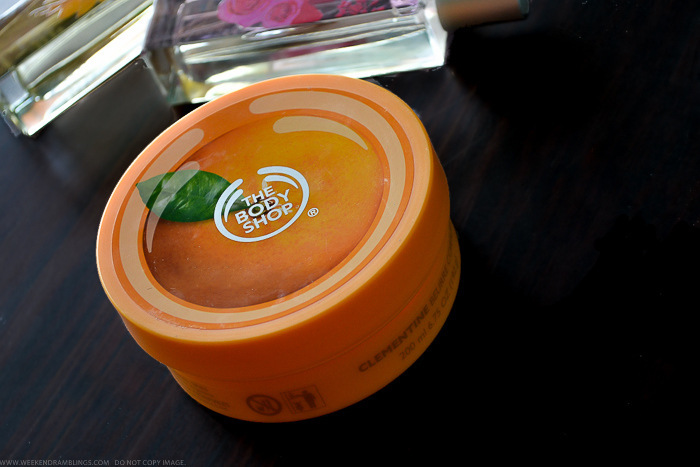 It melts straight in to the skin giving 24-hour hydration and leaving skin feeling soft and smooth. 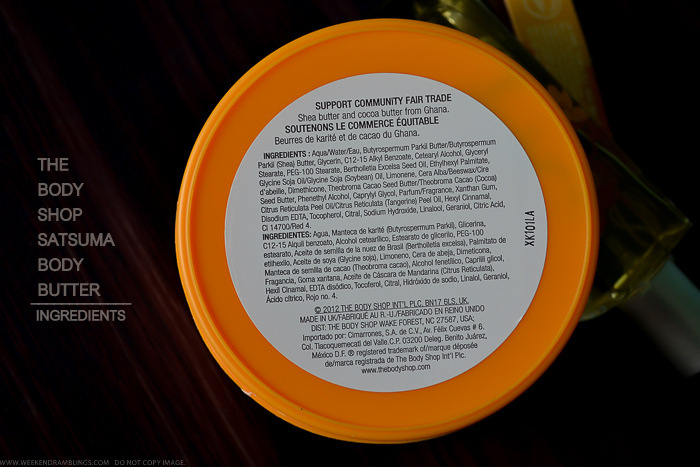 Contains Community Fair Trade shea butter and smells of fresh satsuma. Great for normal to dry skin. How to use: Massage into skin. Be generous! It works even better straight after a bath or shower. 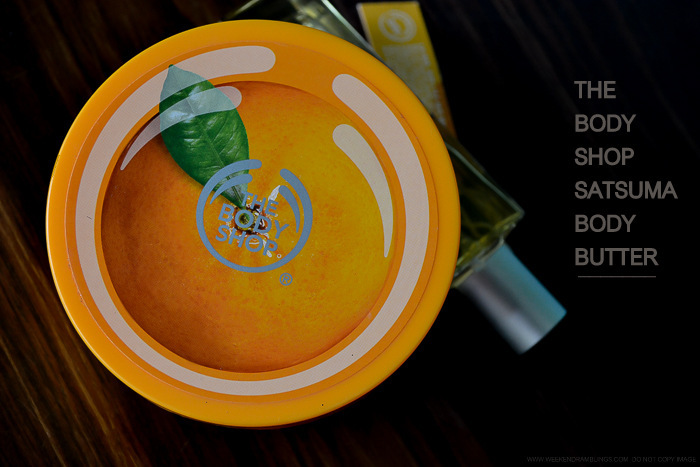 Like all the TBS Body Butters, the Satsuma version too comes packed with moisturizing and skin-softening ingredients like shea butter. It's creamy but easy to massage into the skin, especially when skin is still damp after a bath or a shower. 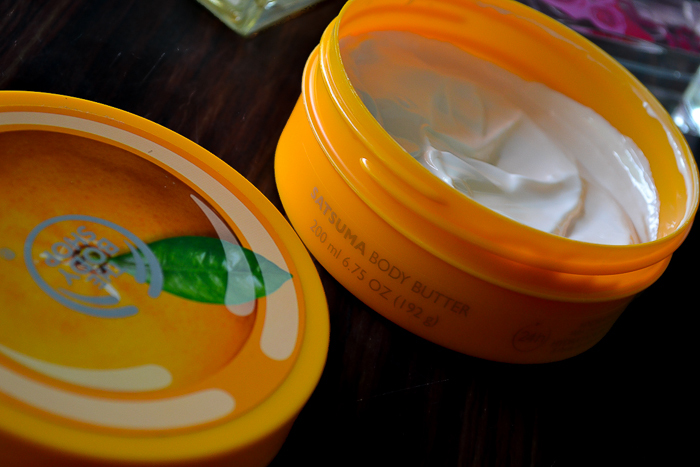 The Satsuma Body Butter does have a bit of a strong fragrance - I quite like the fresh citrusy scent, but I guess it might be a bit strong for someone with a very sensitive nose. 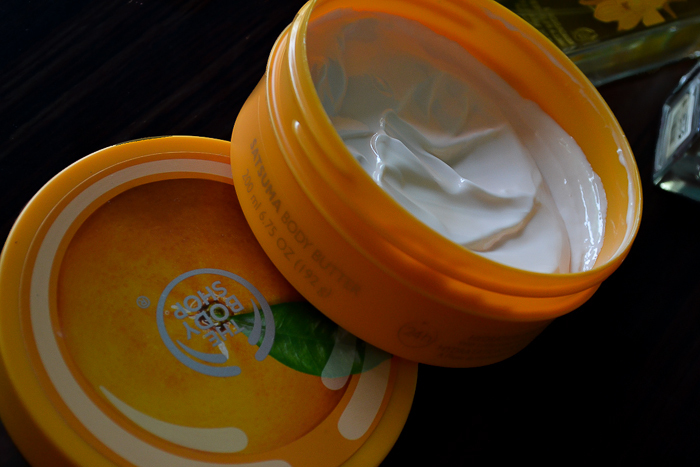 Overall, a fabulous moisturizer for those with dry skin.